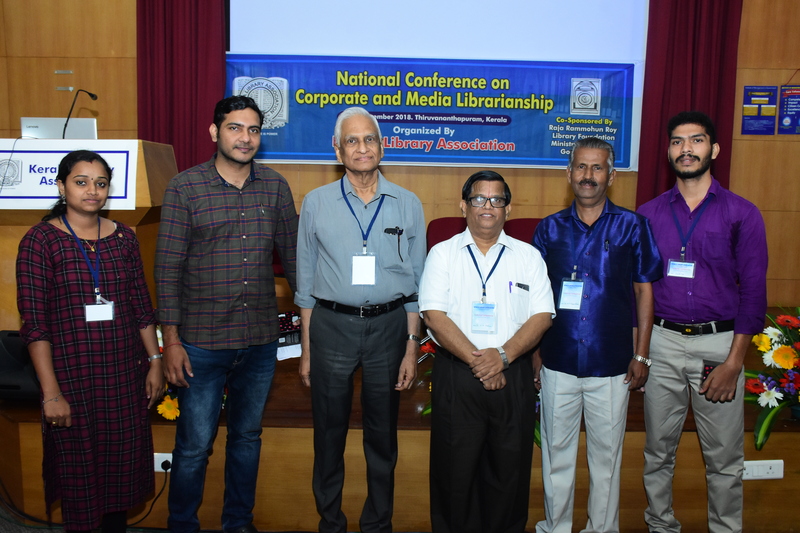 The National Conference on Corporate & Media Librarianship was organized by Kerala Library Association from 14 to 15 December 2018 at Padmam Auditorium, IMG, Thiruvananthapuram and was co-sponsored by Raja Rammohun Roy Library Foundation, Kolkata. 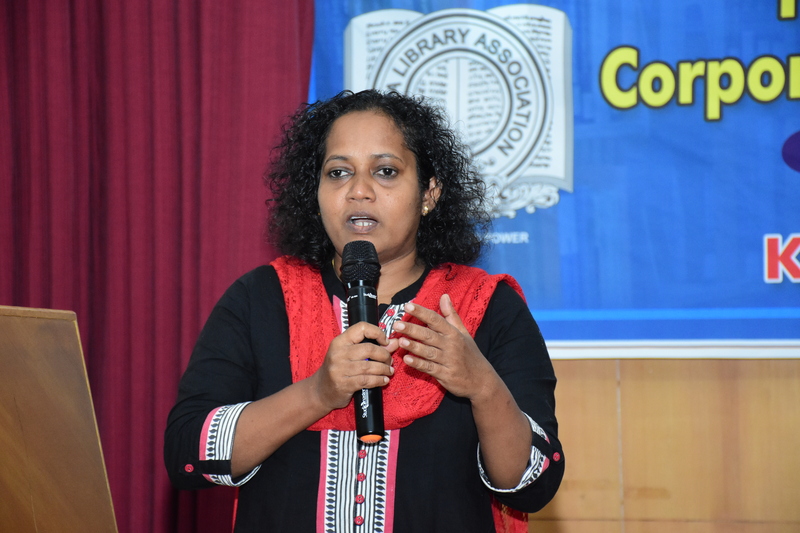 The main objective of the conference was to provide a forum for information professionals from corporate and media information centers and other special libraries to exchange information and deliberate on the common issues in the field. 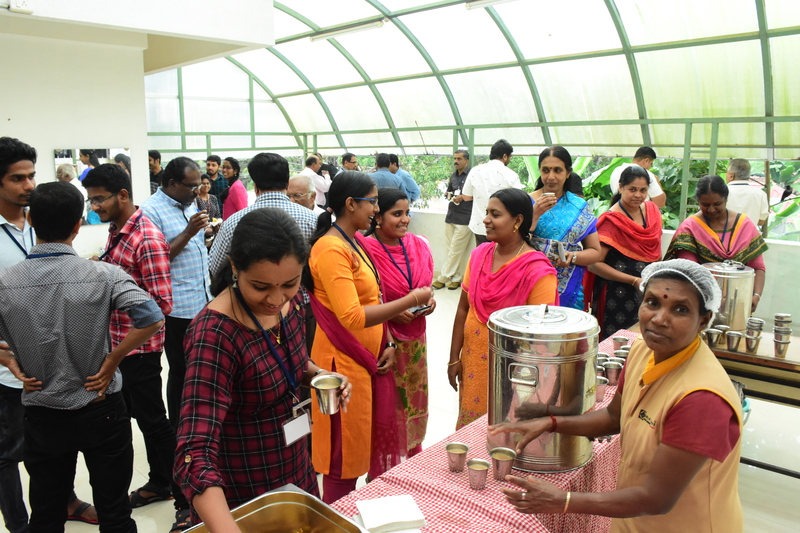 It was also to be a platform for the LIS professionals from the other sectors to get enlightened on the methods, strategies, and services adopted by the corporate sector to survive in a competitive environment. 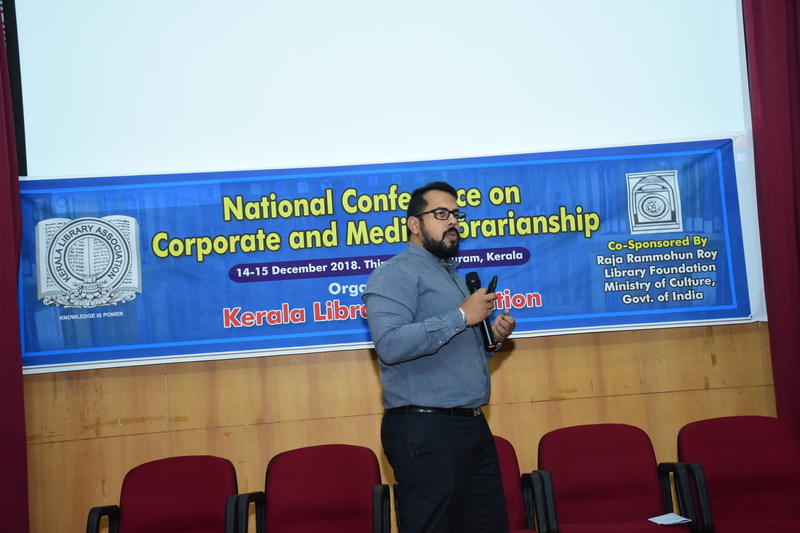 Accordingly, the conference had adopted the following facets under Corporate / Media Librarianship: state-of-the-art, corporate / media library management, Information Resources, Services & facilities, Knowledge Management practices (including case studies), ICT applications, HRD & Management and Corporatization of public libraries in India. 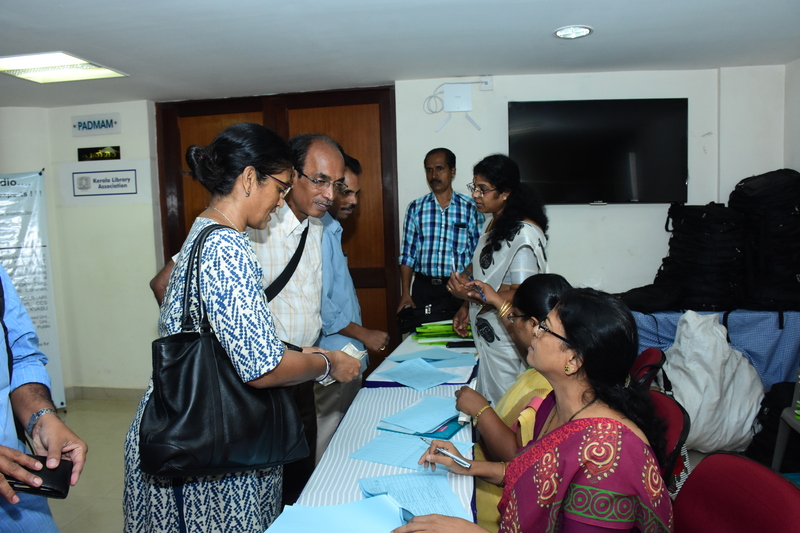 In all, more than 150 professionals and students participated and officially the registrations done were 128. 26 papers were presented and there were 6 sessions spreading over the two days, with 3 each on Days 1 and 2. On Day 1, 2 papers were presented in the first session, 4 in the second and 3, in the last. The rest were presented on the second day. 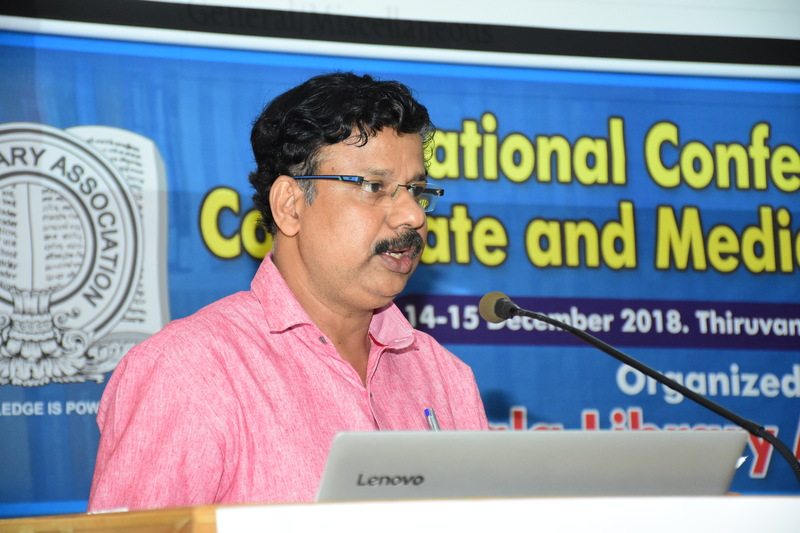 Each session had a theme paper presented by an eminent personality in the field. As for the papers originally contributed, 11 had single authors and 19 were co-authored by 2. 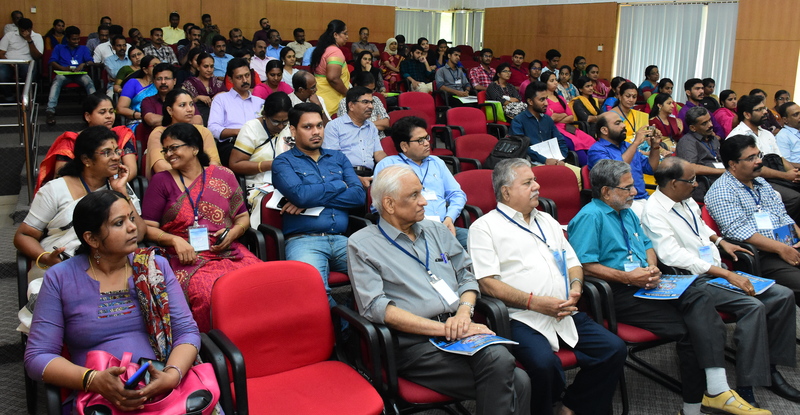 Each session was chaired by a subject expert in the Library & Information Science as well as media fields such as Sri P Jayarajan, Dr Vijayakumar K P, Dr V Gopakumar, Sri H R Mohan, Dr M G Sreekumar and Dr A Gopikuttan. The national conference was inaugurated by Sri Kadakampally Surendran, the Hon’ble Minister for Cooperation, Tourism & Devaswoms. The meeting was presided over by Dr P P Ajayakumar, Pro Vice-Chancellor, University of Kerala. 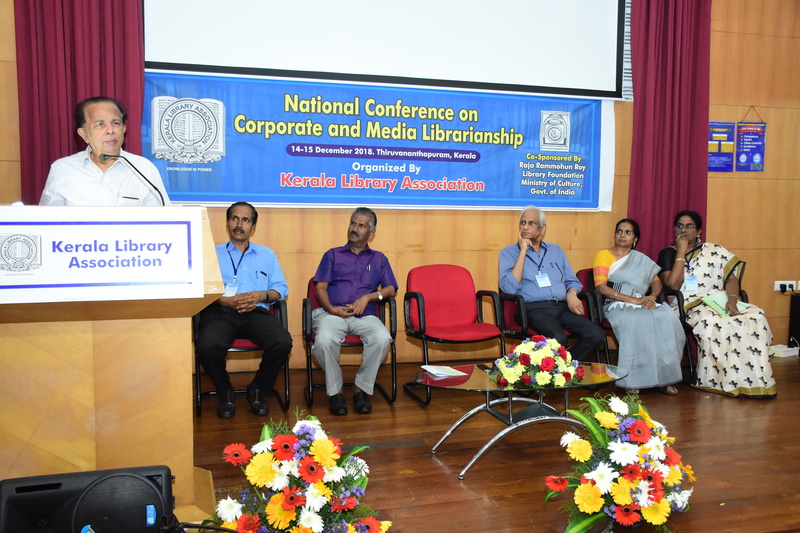 Dr K P Vijayakumar, President, Kerala Library Association, welcomed the gathering. 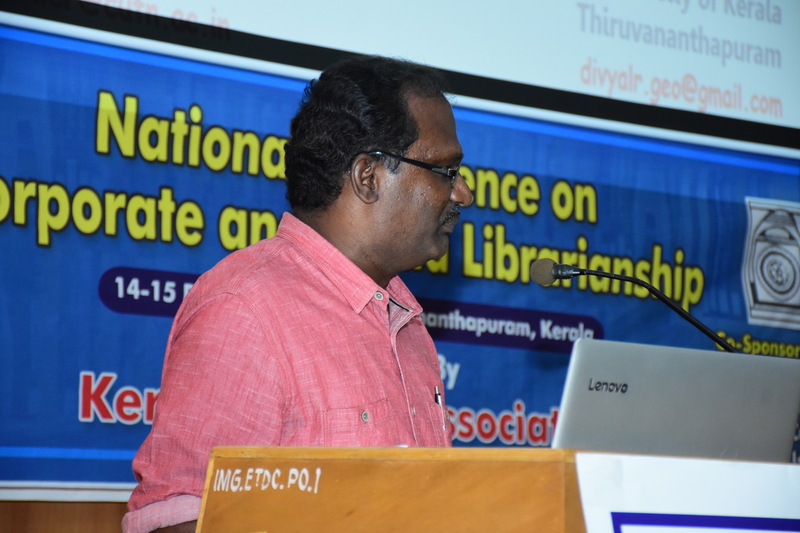 In his presidential address, Dr P P Ajayakumar highlighted the role played by libraries in the social life of people, transforming the society as a whole. Though technology has changed the very concept of libraries, librarian still remains an essential presence. 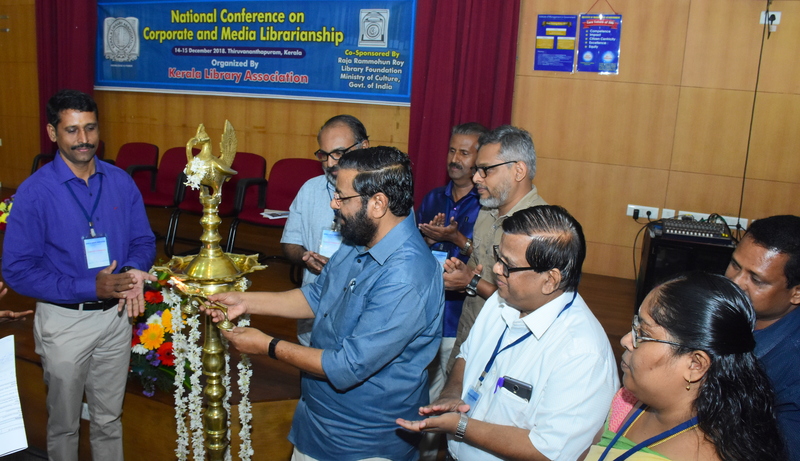 While inaugurating the conference, the Minister touched upon the history of library movement in Kerala and lauded the positive impact it had on the state’s development. 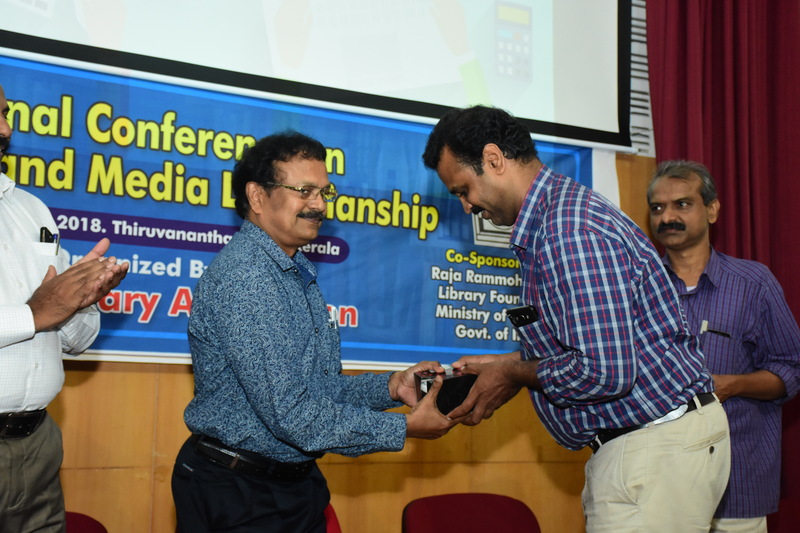 The souvenir, brought out in connection with the conference, was released by Sri Kadakampally Surendran and the first copy was received by Sri H R Mohan, Former Associate Vice President, The Hindu and ICT Consultant, Chennai. 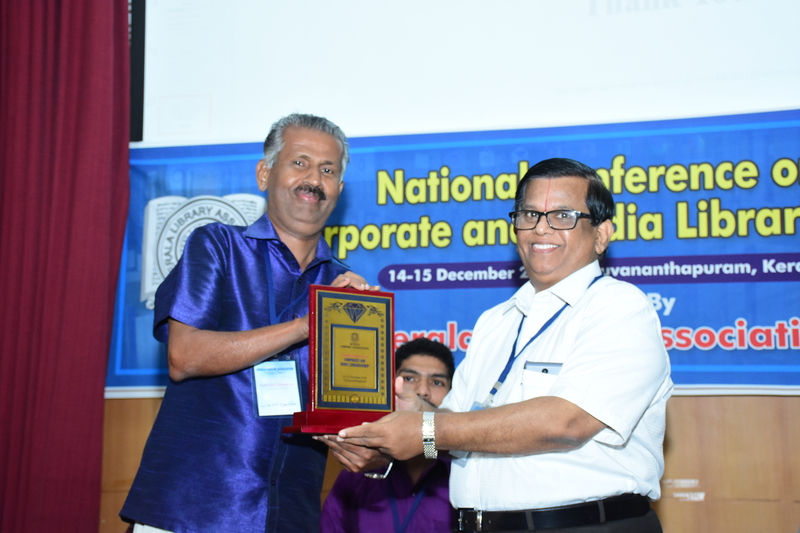 Dr Lalmohan P, Director, School of Communication and Information Science, University of Kerala, offered felicitations on the occasion. 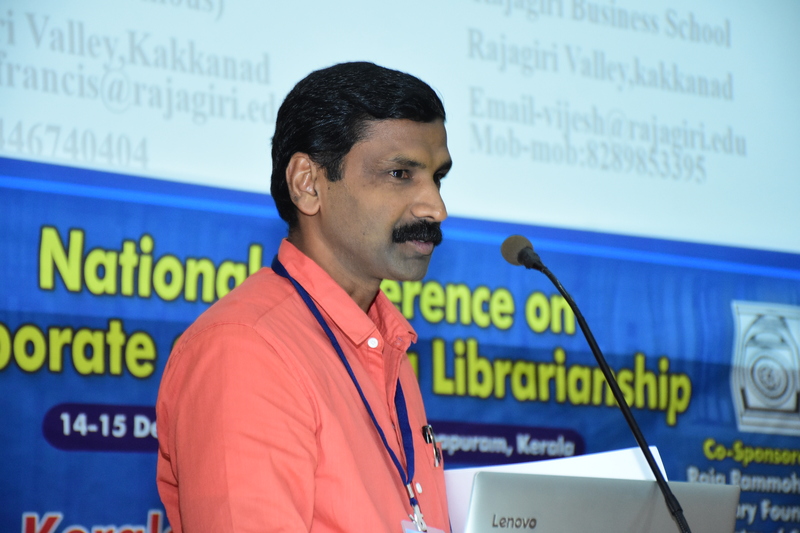 The inaugural session came to a close with vote of thanks proposed by Dr P K Suresh Kumar, General Secretary, Kerala Library Association. A deeper analysis of the contributed papers shows that they fall into 4 categories: Media librarianship, Corporate librarianship, Library & Information Science, and Public libraries. 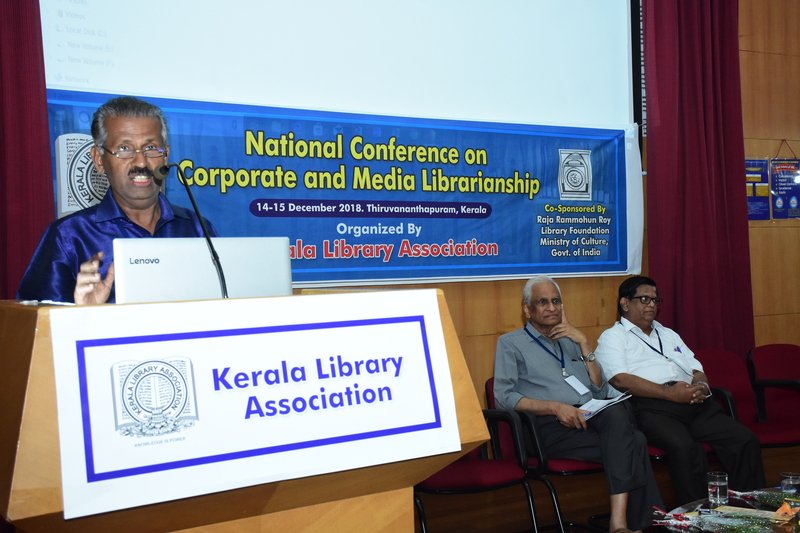 16 papers dealt with media and corporate librarianship, 8 were on LIC and its factes and 2 of them were on public libraries. This report presents the proceedings under these heads, with a separate section on theme papers. 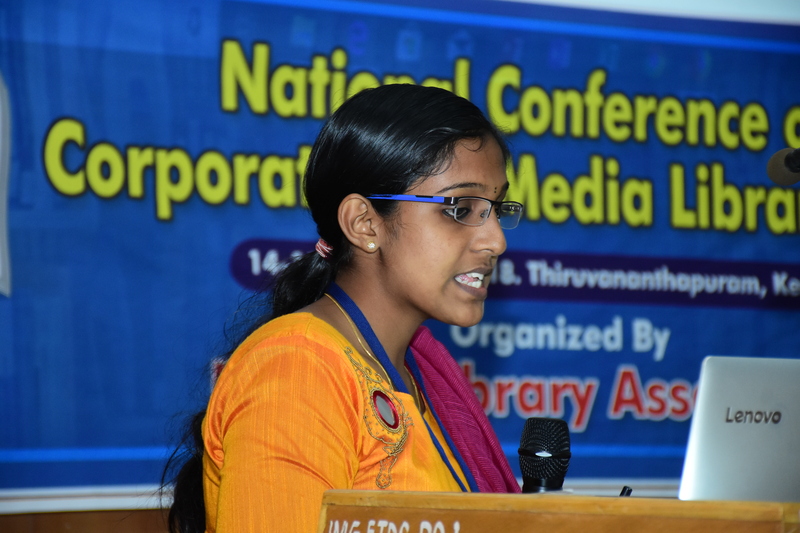 Seethalakshmi R & Sujith K S’ paper ‘History of Media Libraries with Special Refernce to Newspaper Libraries in India’, highlighted the history of media libraries, with emphasis on their digital content. 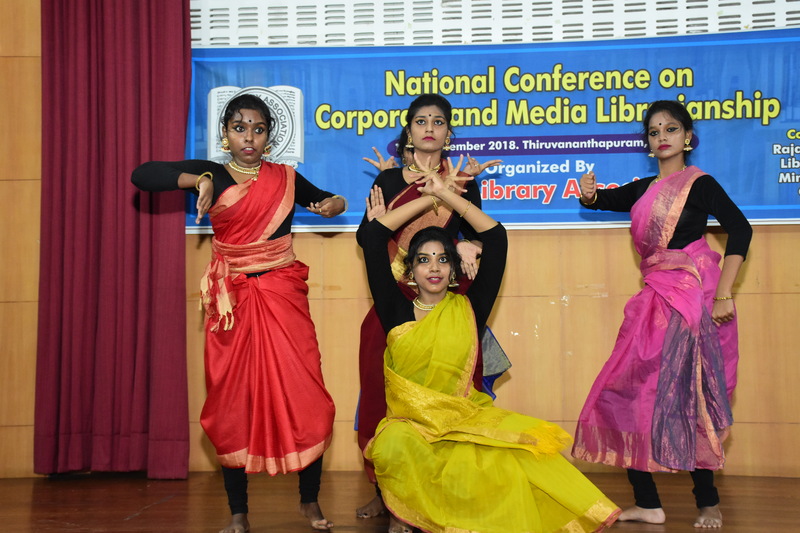 They dealt with the existing patterns of preservation of information resources in such libraries and also the different methods adopted for preservation in the newspaper libraries. 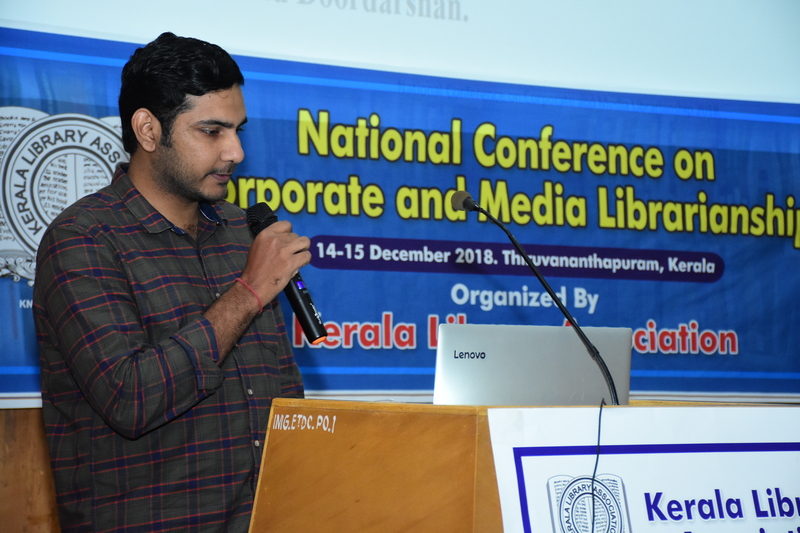 Arun V R, in his paper, ‘Media Libraries in Kerala: A Status Report’, covered the news channels in Kerala including Doordashan and showed how their libraries are functioning to meet their respective needs. 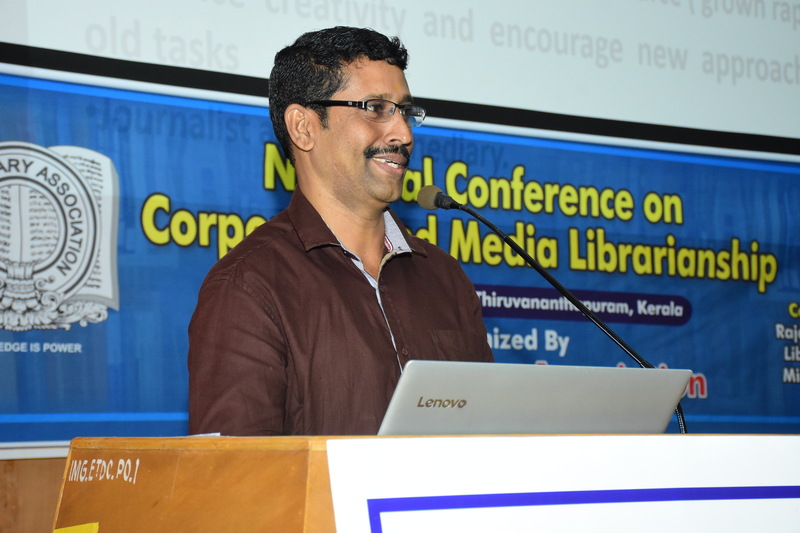 Sanjo Jose’s focus was on the comparatively less explored areas of media and corporate librarianship such as special skill development. 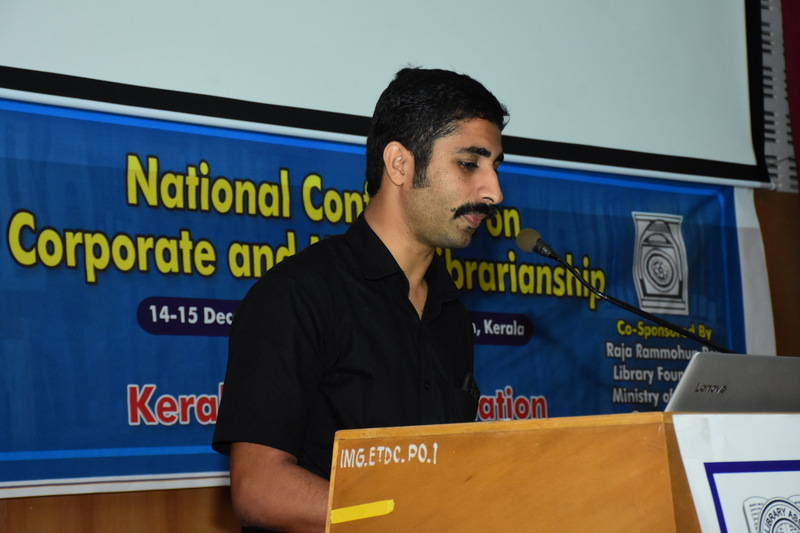 He came up with the suggestion that library schools should give more attention and consideration to this type of libraries while designing courses. 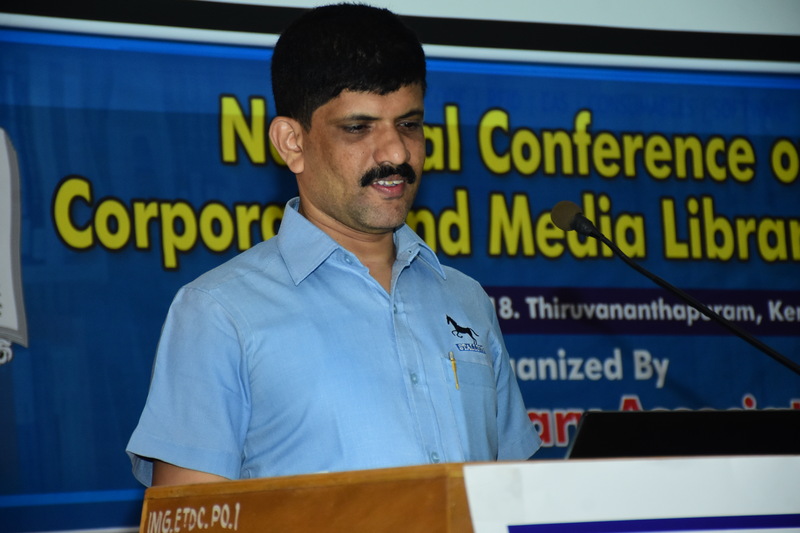 Dr A Gopikuttan presented a paper on the information behavior of journalists, which was a study based in Kerala. It focused on the areas of frequency of use, information seeking behavior of journalists and the difficulties faced by them in their information search and offered some solutions. 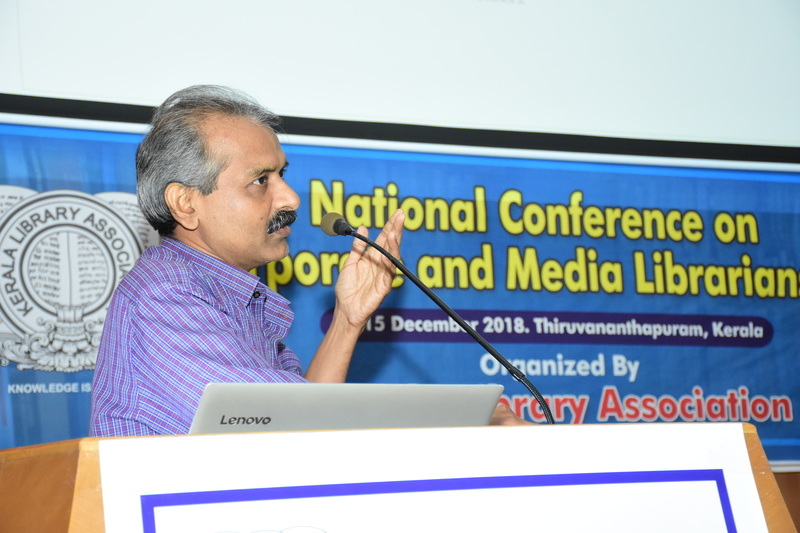 Dr P K Suresh Kumar investigated the level of awareness of e-resources, extent of their utilization and the challenges faced by the media professionals of Thiruvananthapuram Press Club. Digital illiteracy was found to be a major stumbling block and orientation programmes were suggested as remedial measures. Shihab I’s paper was on social media and news consumption. 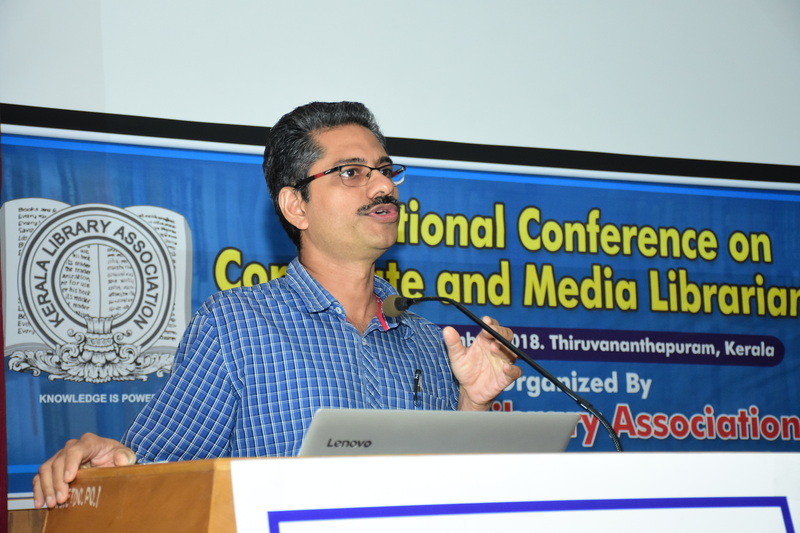 It was a case study on Dept of Communication & Journalism, University of Kerala, on the use of social media by the faculty members and students of the department. 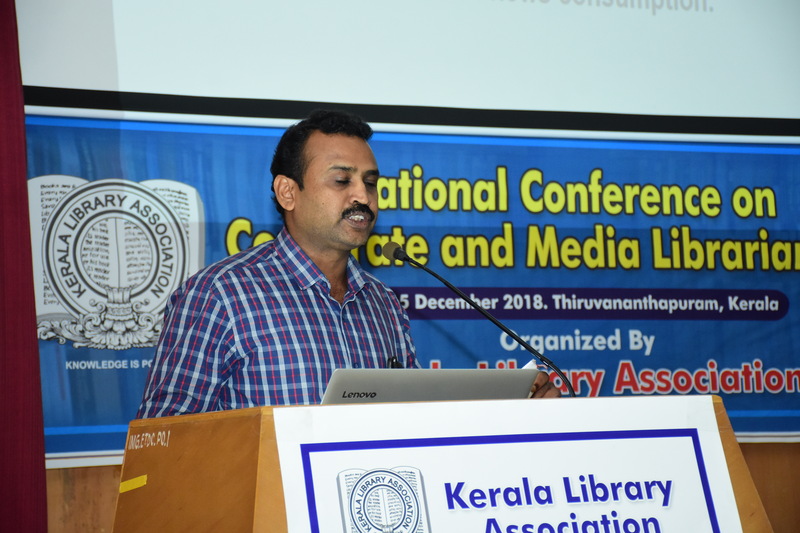 Another paper, ‘Bilingual Search Engine and Keyword Sensitivity’ by V Vijayakumar of Malayala Manorama, was a case study of Manorama Smart Archive which is the digital archive of Malayala Manorama. The paper brought out the various issues that crop up during searches and came up with 3 solutions . Vimal Kumar V reviewed the user experience of e-newspapers. 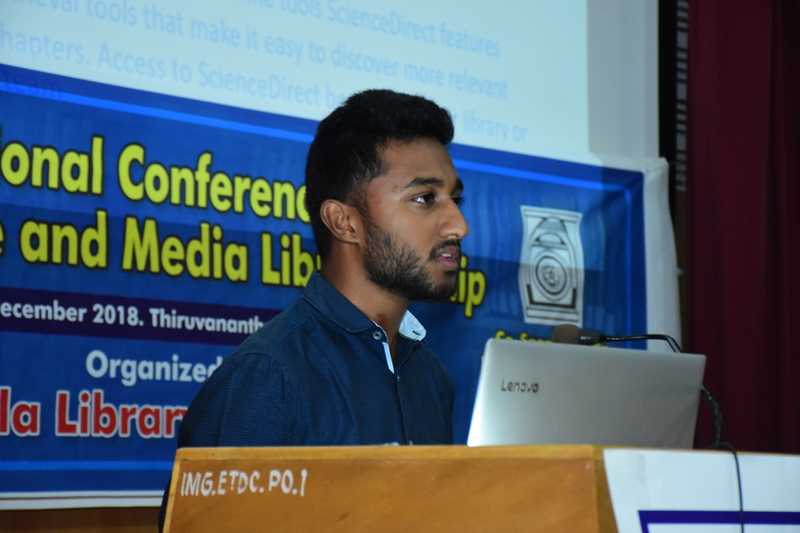 His study was a review of the features and performance of four leading Malayalam newspaper apps in Android platform, based on the feedback from the users. The focus was on four features, namely, content organization, reading, display and personalization. Dalet was the subject of study for Ashkar K & Bavijesh T, this time with reference to Mathrubhumi News Library. 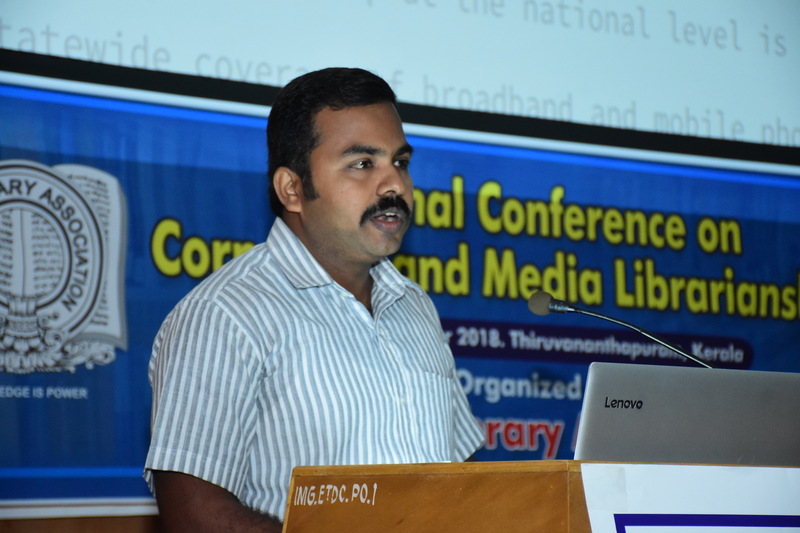 Biju S, Asst Executive Editor of Asianet News Network, presented s paper on media archives, their challenges and opportunities. According to him, copyright and intellectual property regulations are the ones that pose new challenges when it comes to archiving. Most of the papers on corporate librarianship were general in nature. 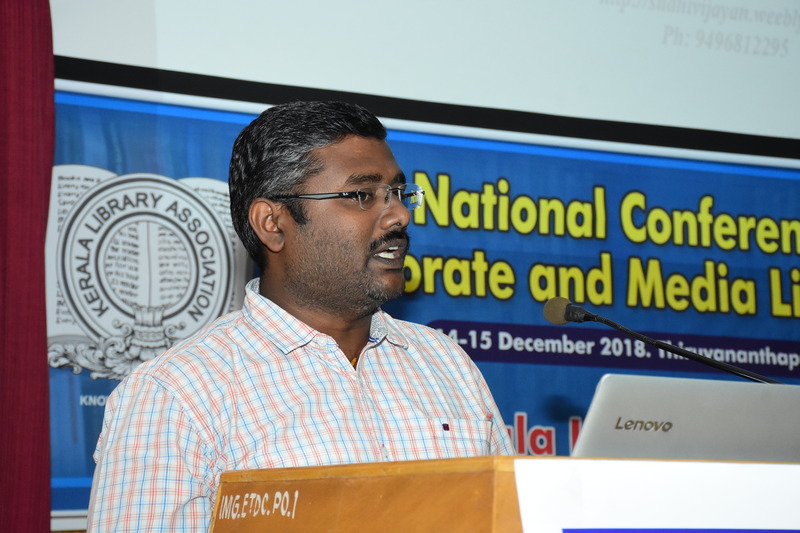 Touching upon the usage increase initiatives of online resources, Nanda Lal T S showed how search engines like Google will impact usage of subscription to online resources in a dynamic digital environment. Greeshma C T & Greeshma Valson discussed the importance of the role of information professional in a corporate environment. 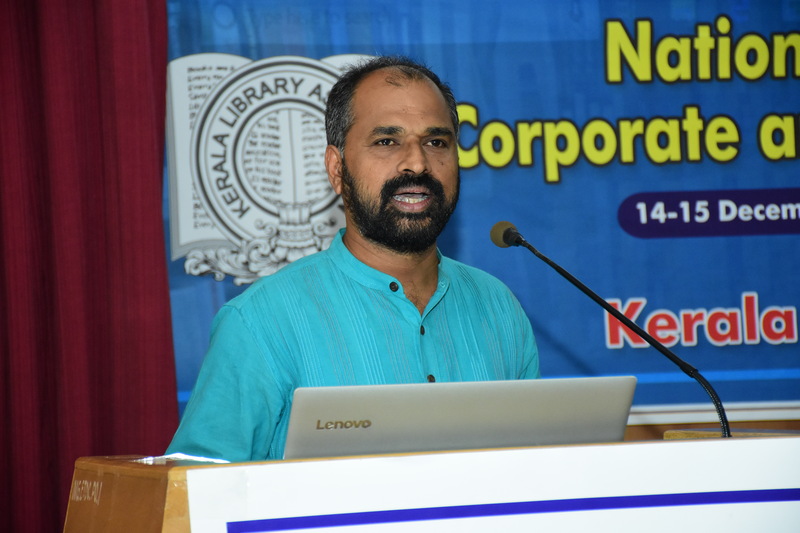 It was the social responsibility of business school libraries in general and that of Rajagiri Centre for Business Studies Library, Kakkanad, that was highlighted by Francis A J. 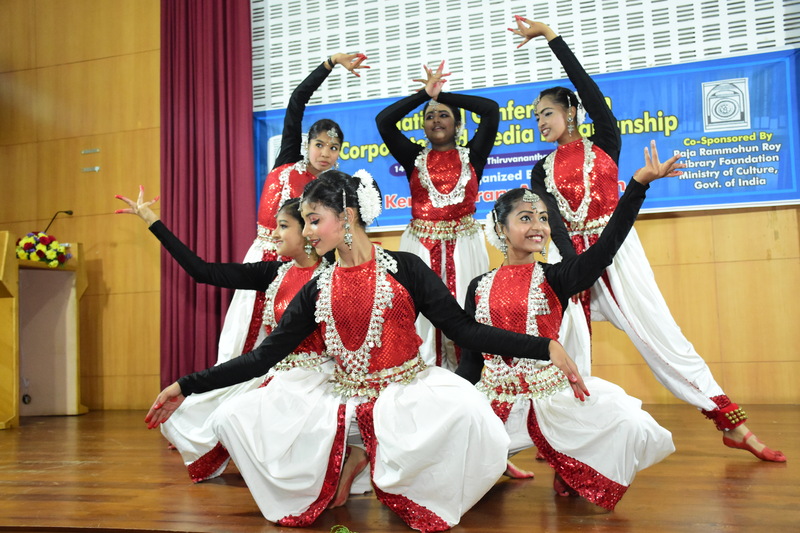 The paper described the work undertaken by their Business School during the recent floods in Kerala and also the setting up of school libraries as part of their CSR. 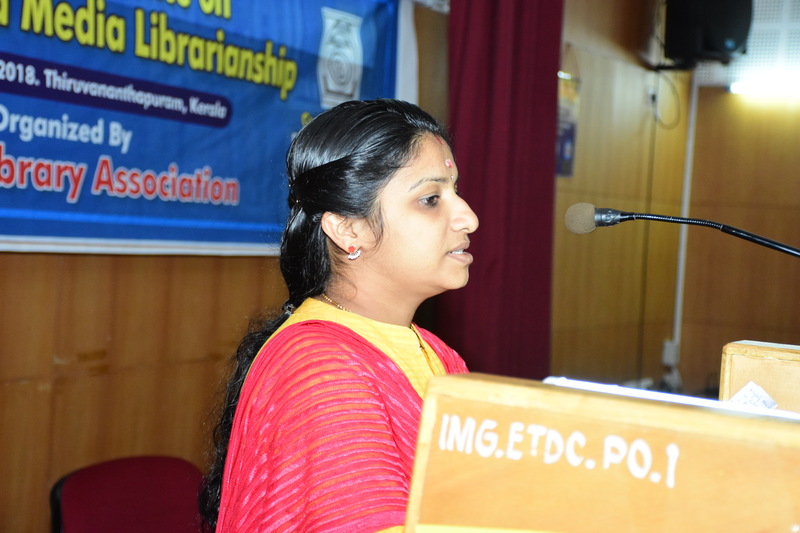 Dr Rakhi V S, working in KSEML, had a proposal to renovate the now-defunct library at KSEB, thus promoting the need for a corporate library in the electricity sector. 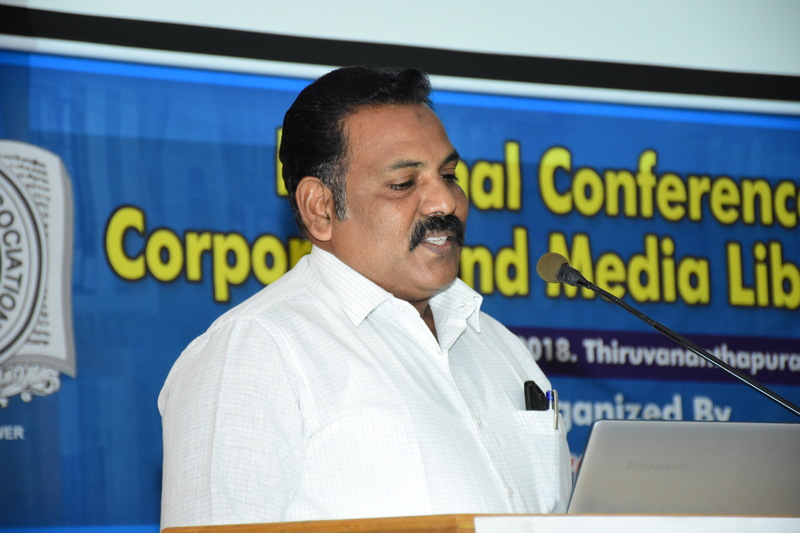 Dr Manoharan Pillai stressed on the importance of technology, especially while developing learning centres for corporates. Paper by Joseph I Thomas emphasized the importance of e-resources in the fields of management, business and industries. 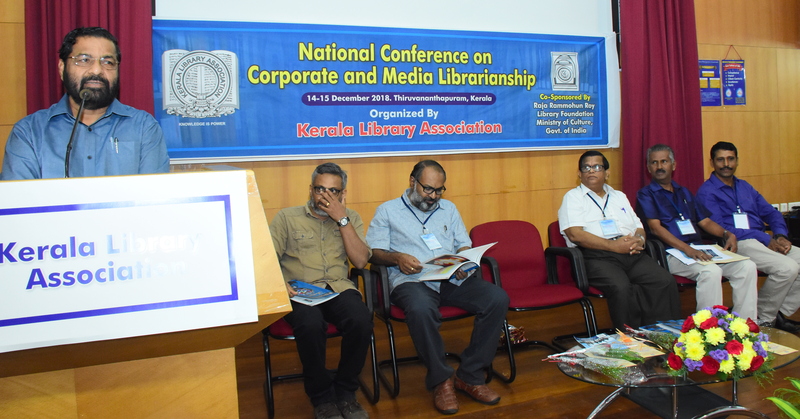 Corporatization of a children’s library network was the theme of the paper by Resmi Sara Thomas, which suggested the need for tapping the CSR policies of the corporates for the cause. This category includes papers on information resources, social networking, ICT application in libraries, IT & Information Management, PIM & e-learning. 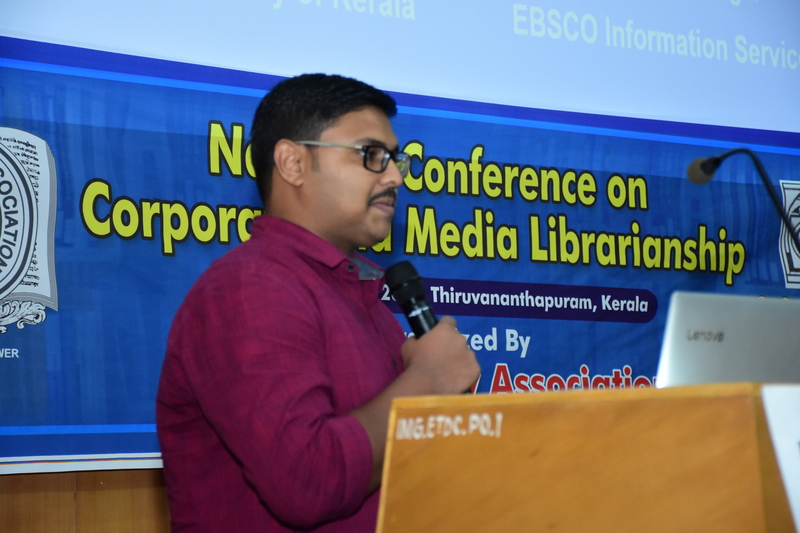 Under the session ‘Information Resources, Services & Facilities’, Unnikrishnan S showcased the best practices in M G University Library, Kottayam. Especially their own 2 specialized databases, Kerala Studies & Article Index, to assist the research scholars in literature search. 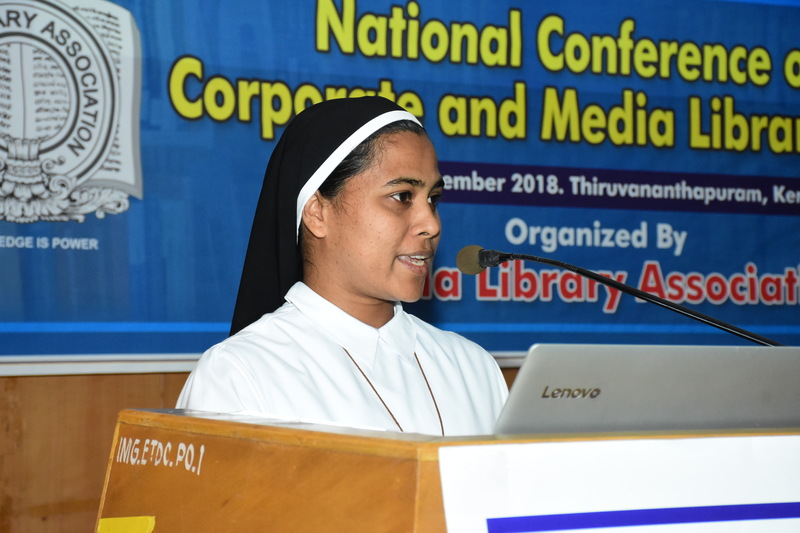 Sr Nancy Waral’s paper discussed the role of social networkingsitesin supporting the academic research, on the basis of a primary data collected from 150 academic researchers of arts, science, and language disciplines of Kerala University. 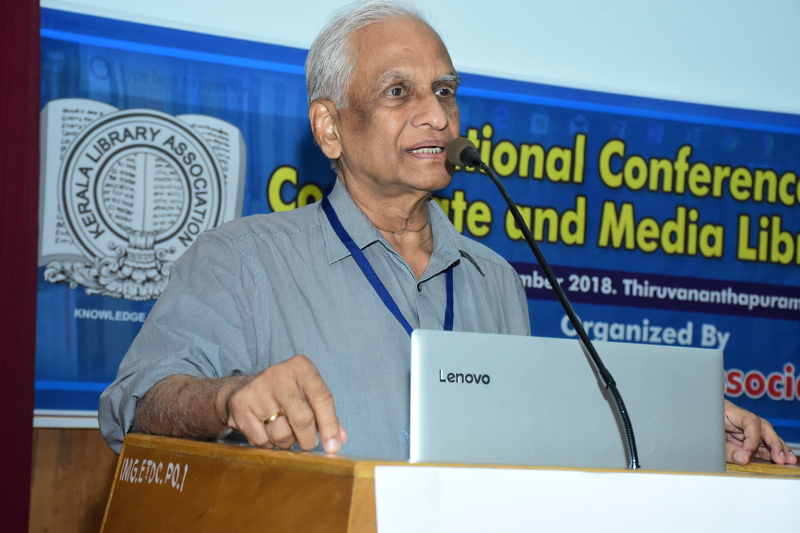 It was the statistical evaluation of the present position of universities as part of Shodhganga, with reference to their outputs / contributions in the field of theses / research that was taken up by Dr Sudhi S Vijayan for his paper. Availability of plagiarism softwares was also considered. Through a quantitative approach, he established that this would improve the quality of higher education and research in India. 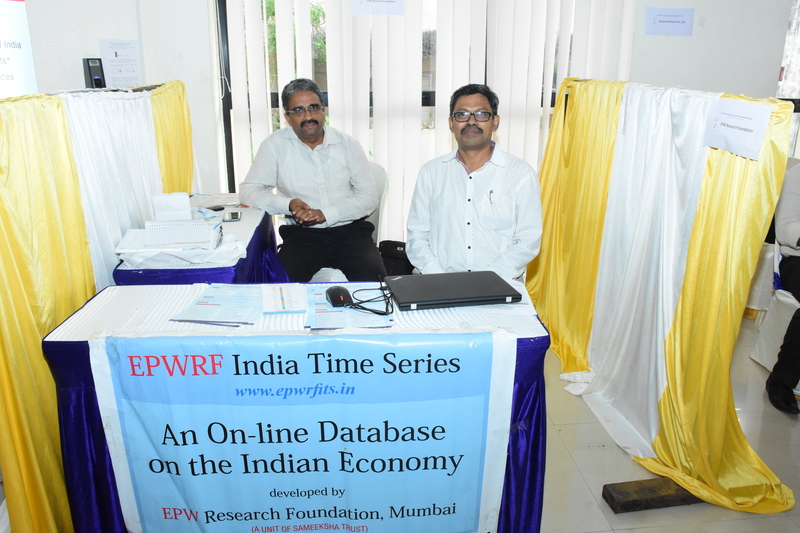 Dr K G Sudhier’s paper was also on the aspect of research, with emphasis on Personal Information Management. The paper was an empirical assessment of doctoral researchers’ PIM practices. 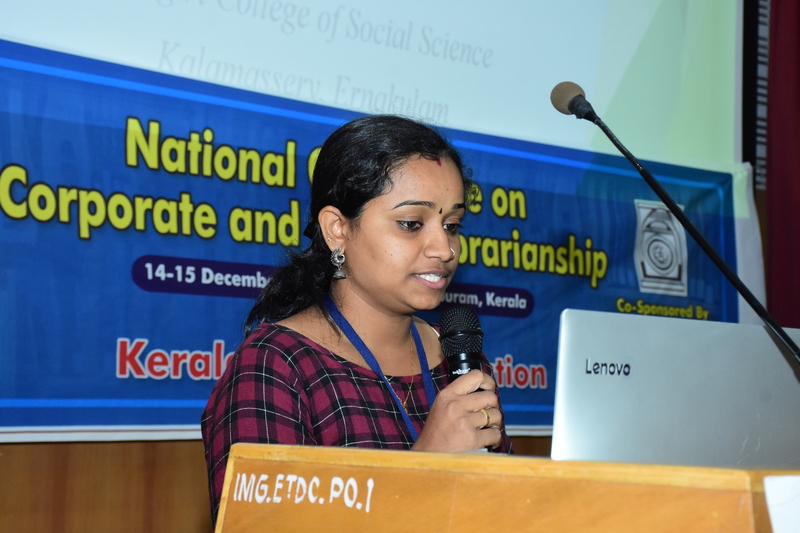 While dealing with ICT applications, factors pertaining to the use of ICTs by engineering college librarians was taken up by Tinju Tom whereas the same in Kerala Legislature Library was dealt with by G Harilal and Shynu Ray S., through their case study. The paper highlighted major initiatives like Digital Archives of Assembly Documents, E-Reading Portal Blog and online reference services. 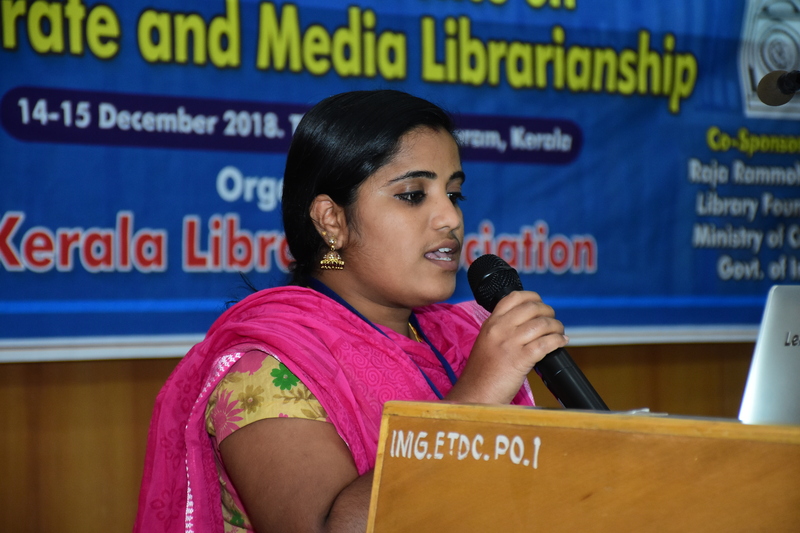 Divya P I’s paper presented an overview of open educational courseware like Vidwan & Swayam and the facilities offered by library associations. These are also shown as e-learning opportunities for the career development of library professionals as part of lifelong learning and continued professional development. Arunkumar V R went a step further. 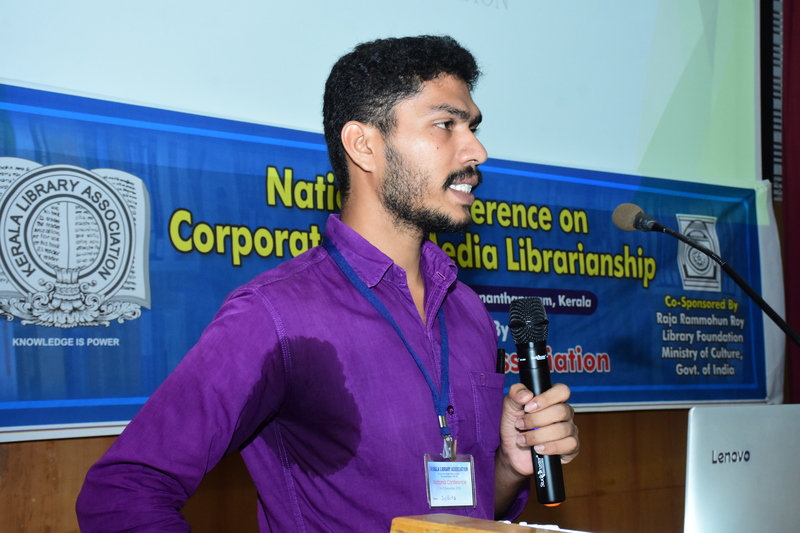 After analyzing the current library school curriculum, he came up with a proposal for a new module and advocated the inclusion of corporate and media libraries in the curriculum. Keeping with the public library theme / facet of the conference, there were two papers: Sobhana P K’s case study of Kerala State Central Library was with reference to their innovative SMS service and Asha L‘s paper was a comparative analysis of the digital literacy of LIS professionals in Kerala University Library and the State Central Library. 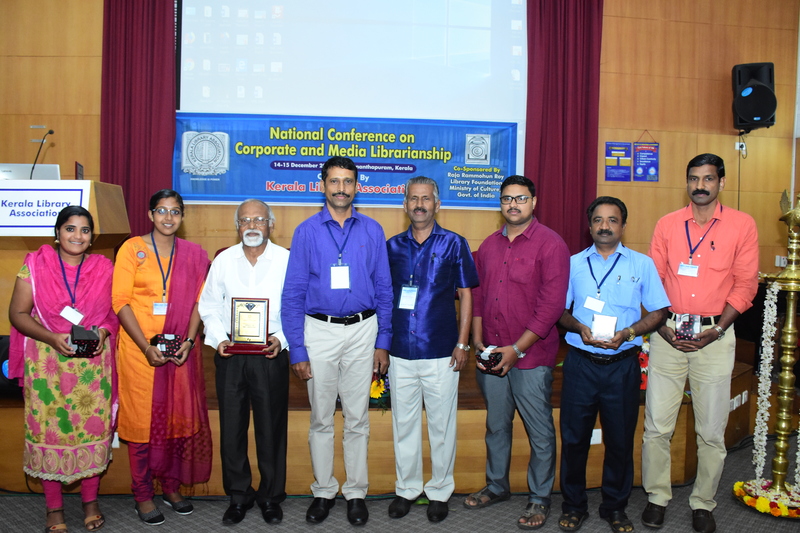 Six theme papers were presented by Sri H R Mohan, Sri K P Sadasivan, Sri P Jayarajan, Dr P K Rajasekharan, Dr Sadik Batcha M and Dr M G Sreekumar respectively, at the beginning of each technical session. 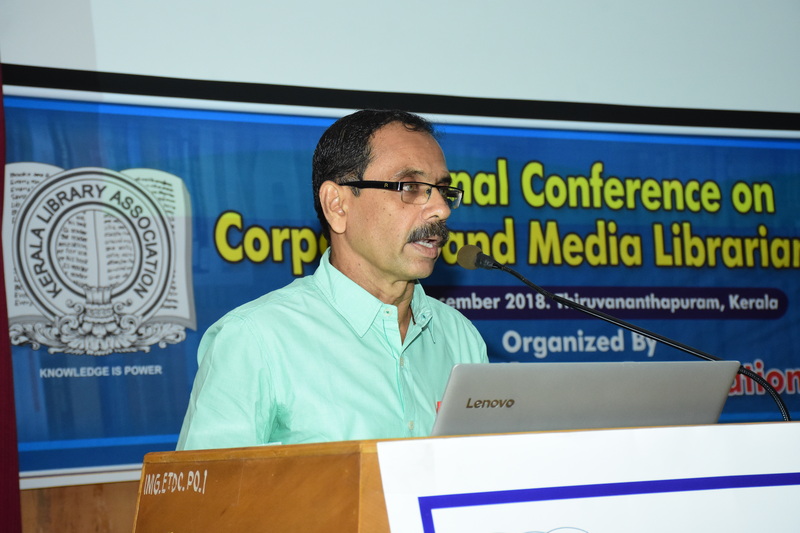 Sri H R Mohan gave a very informative talk on digitization and organization of newspaper libraries, drawing from his own rich experience at The Hindu. 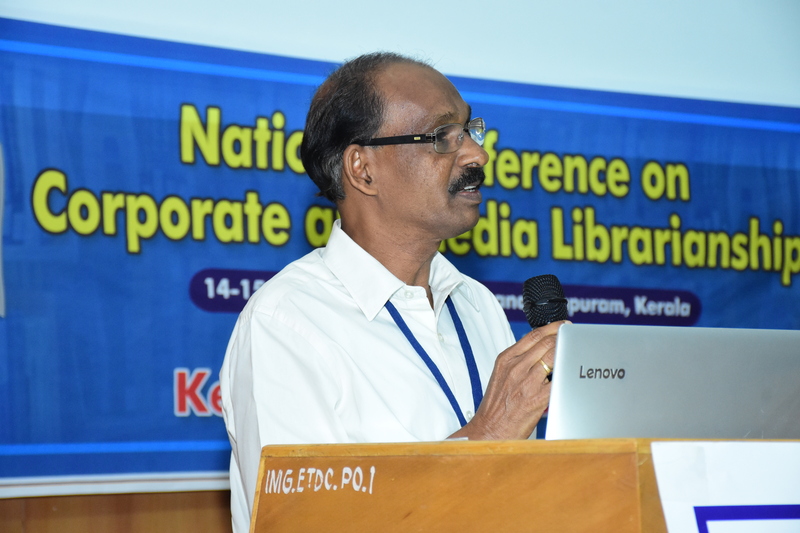 Sri K P Sadasivan, being an information scientist, kept the flag flying for a professionally-run, technology-driven library environment, satisfying the users. 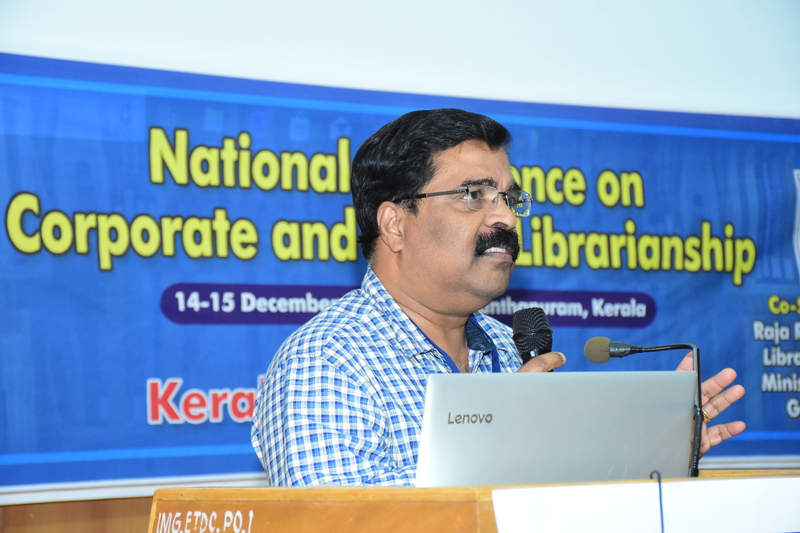 Sri P Jayarajan, the former Country Head of British Council Libraries and now the Library Advisor to Malayalam University, shared his passion for public libraries and was still optimistic that public libraries would survive the cuts and downward trends presently experienced all over the world. 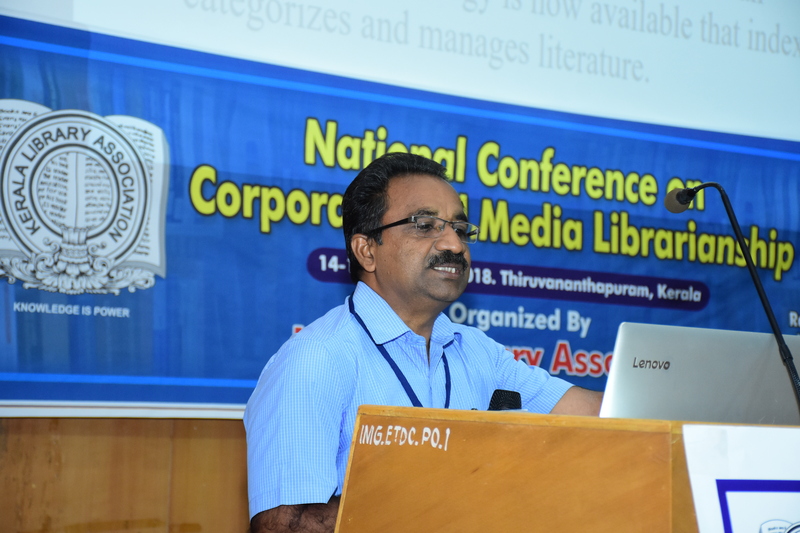 The theme paper by Dr P K Rajasekharan, Former News Editor, Mathrubhumi Daily, Thiruvananthapuram, was an interesting experience sharing and he was emphatic that archiving is the most essential requirement of a media library. 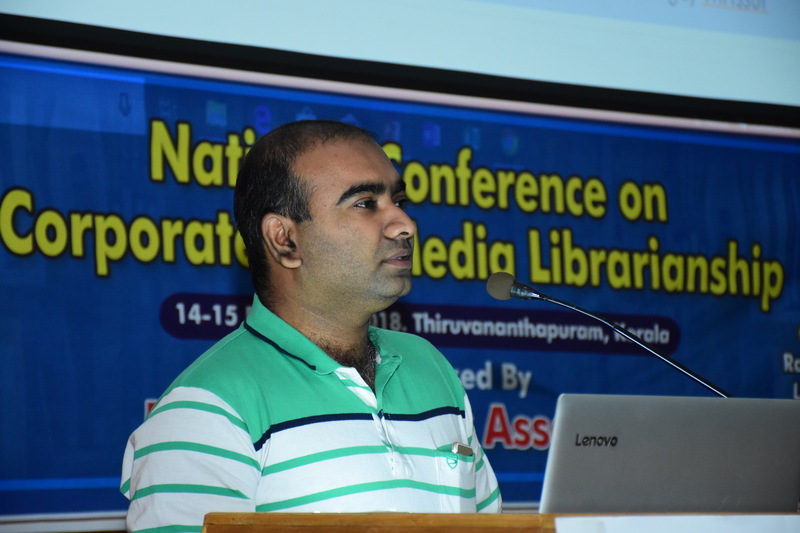 Citing the examples of two newspaper libraries, he opined that these libraries should be prepared to share what they have and should be more user-friendly. 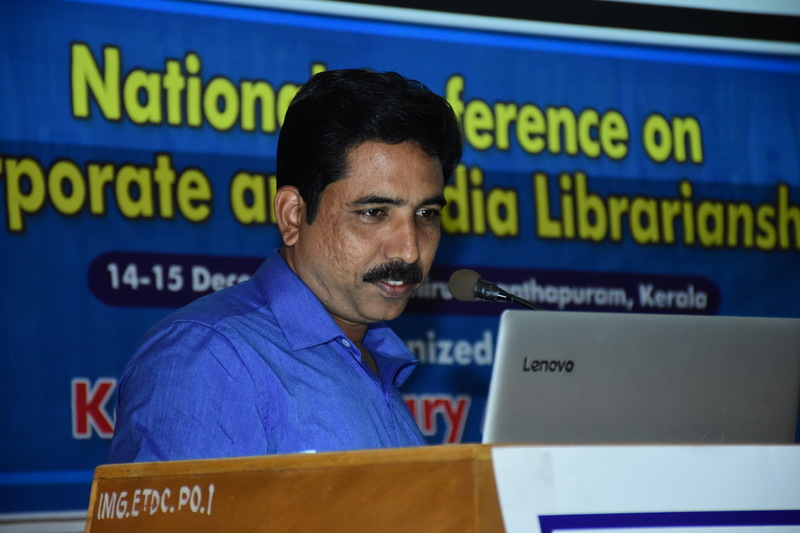 Dr Sadik Batcha, Associate Professor, DLIS< Annamalai University, described the changes in libraries as a journey from Gutenberg to Zuckerberg and emphasized the need for librarian to be a trendsetter in this Palm Tab era. 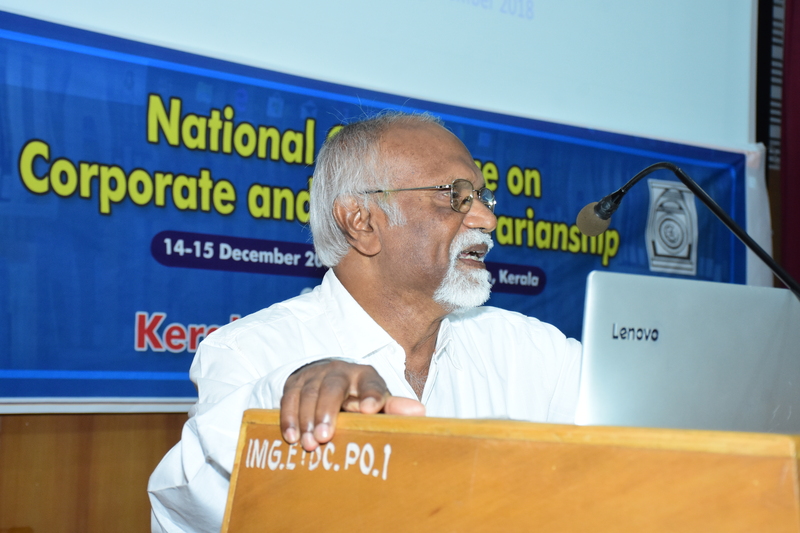 Dr M G Sreekumar, Adjunct Professor & Chief Information Officer, IIM Kozhikode, presented the theme paper in the last session on the changing dimensions of the LIS profession and competency building of professionals. 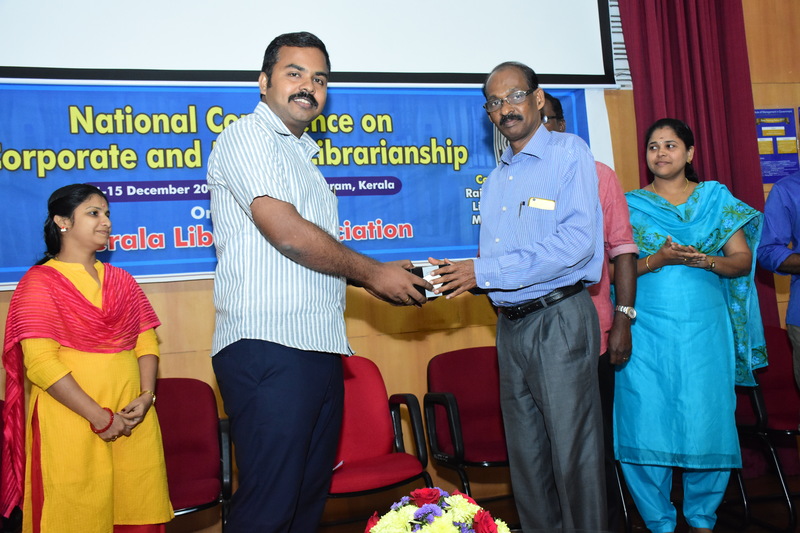 His message was that the concept of libraries has to be re-defined to transform them to collaborative learning spaces and librarians have to master digital leadership to survive. This session was presided over by Dr K P Vijayakumar, President, KLA and Sri G S Harikumar, Vice President, KLA, welcomed all. 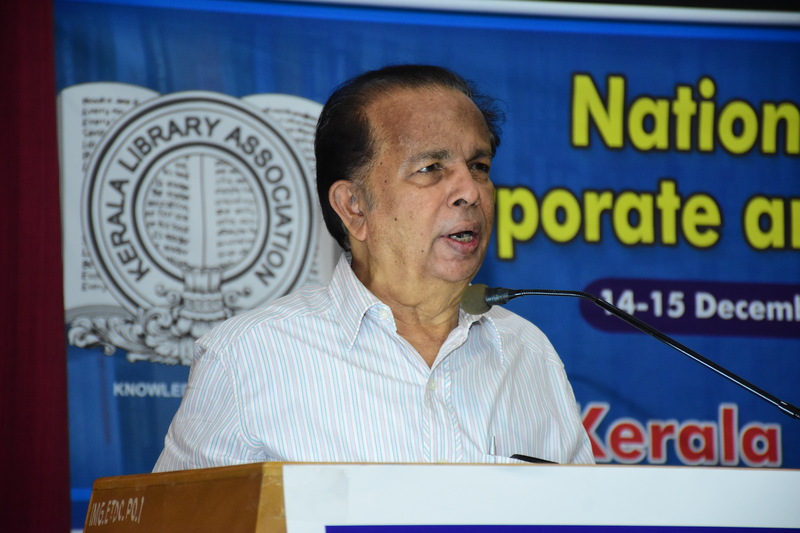 Dr G Madhavan Nair, Former Chairman, Indian Space Research Organisation (ISRO) & Former Secretary to the Department of Space, Government of India, was the Chief Guest. 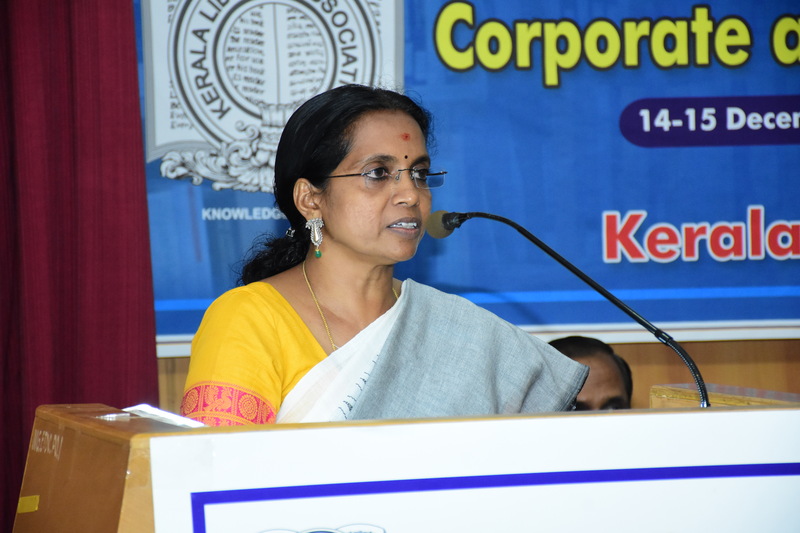 Dr M Lalitha, Former Librarian, SCERT Kerala, & the Chief Rapporteur – General, presented the report of the conference. 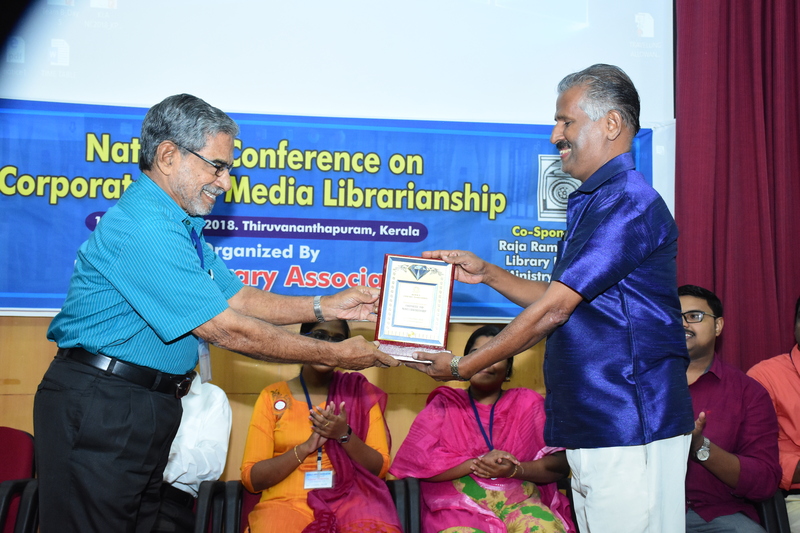 Sri P Jayarajan and Dr B Mini Devi, HOD, DLIS, University of Kerala, offered felicitations. 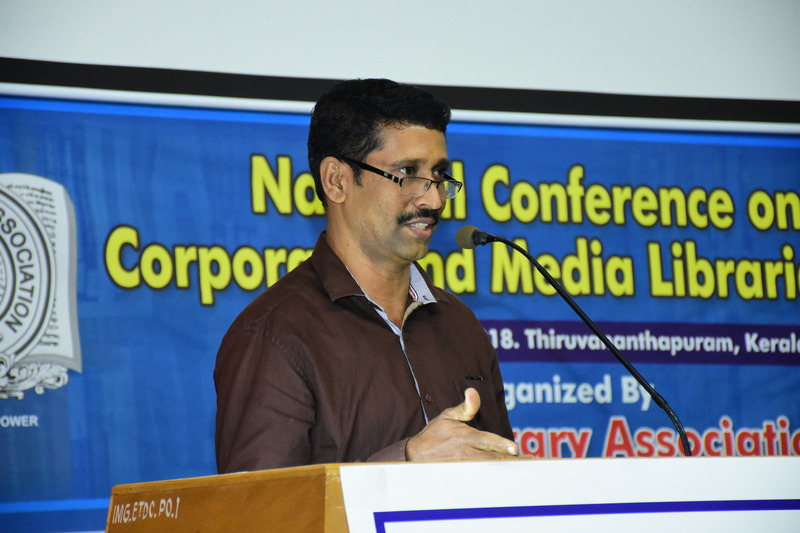 Dr P K Suresh Kumar, General Secretary, KLA, proposed the vote of thanks. There were product presentations during the national conference. 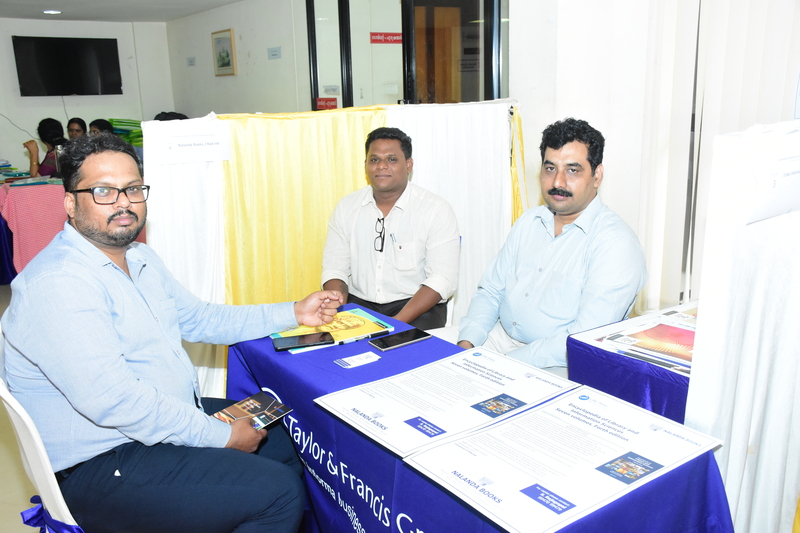 There were 3 by M/s Ebsco Information Services India Pvt Ltd, Bridge People Technology Solutions Pvt Ltd (Grammarly) and Stallion Systems & Solutions Pvt Ltd. All of them were well-received by the professions in the library field. 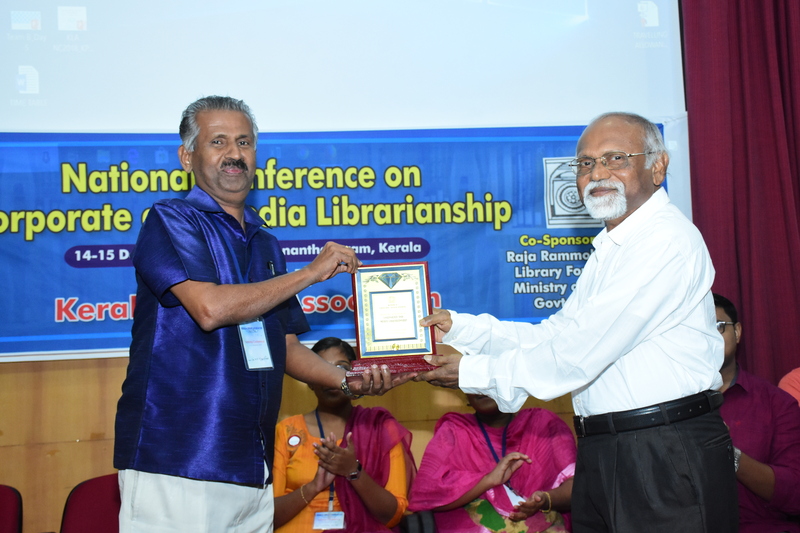 The best paper award was won by Sri V Vijayakumar, Chief Researcher, Malayala Manorama, Kottayam. KLA congratulates the winner and is happy that the award went to a media person. KLA can justifiably look back at the conference with a reasonable sense of satisfaction. 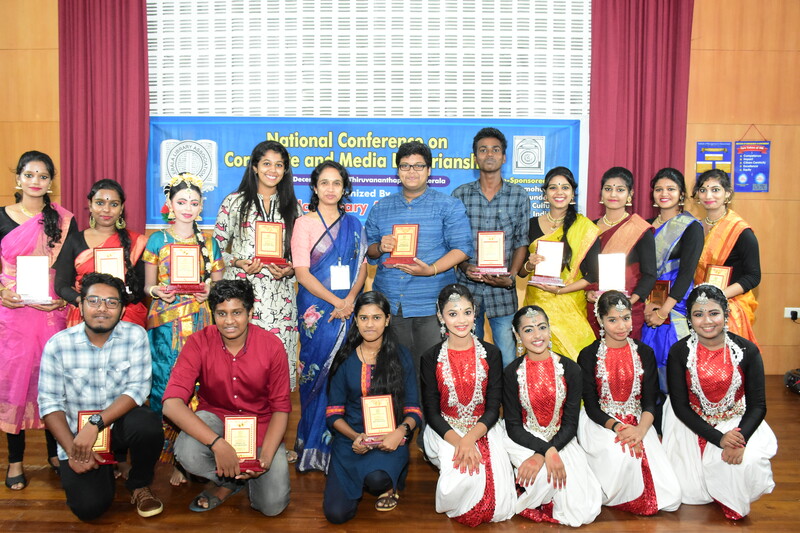 The theme of the conference had been new, something not attempted before by KLA and naturally there was an apprehension regarding the participation and subsequently, the outcome. But the presence of media personnel, both as chairs and paper presenters, definitely added value to the event. 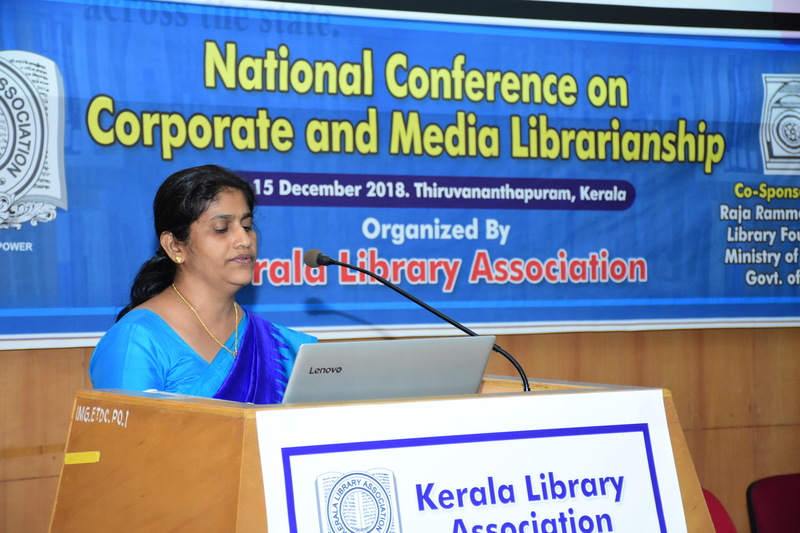 KLA hopes to take up the suggestions presented during the conference and do something worthwhile in this regard, especially in giving proper professional orientation to LIS professionals working in corporate and media libraries.